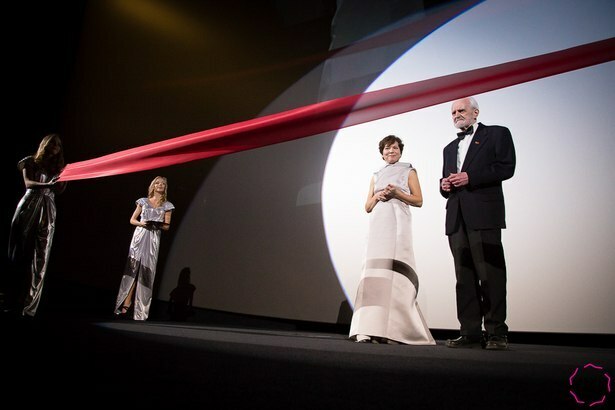 Opening of the most modern IMAX digital cinema in the Nordic region. 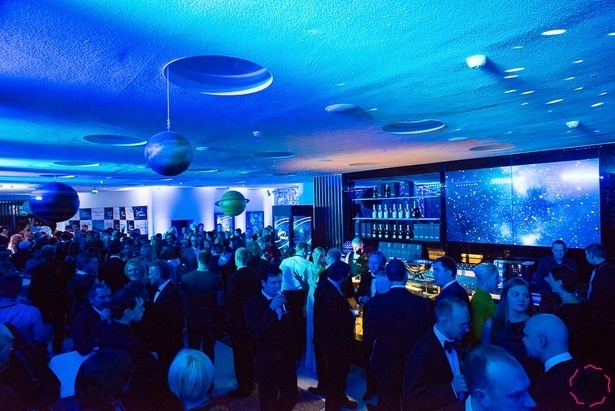 An invite-only black tie 350 guest Gala Launch Event was organised. Event was specially designed and curated by production designer who provided the whole conceptual solution on the relevant theme – “space”. Tailor-made visuals were shown on all displays in the building. 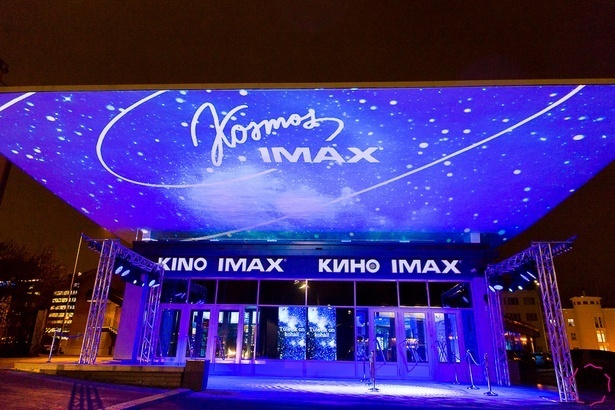 Space-themed blue visuals were projected on the awning over the entrance and video mapping on the wall. 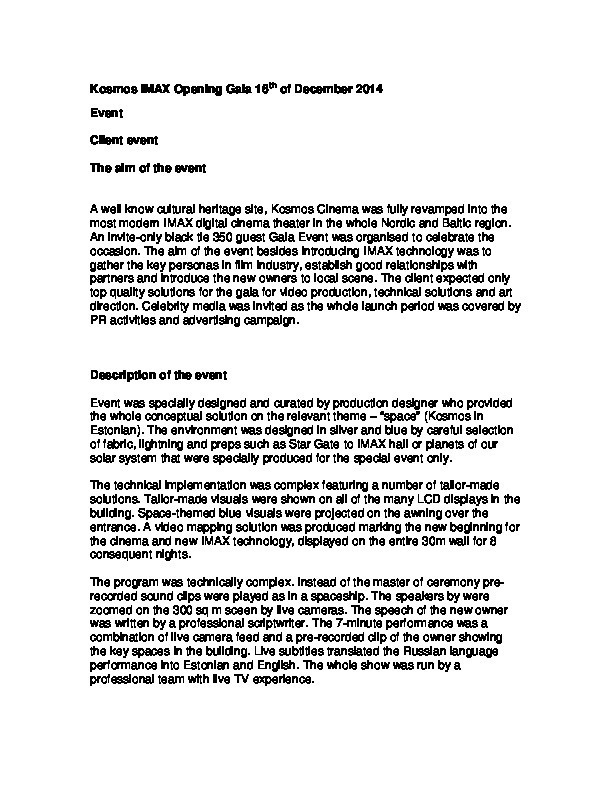 The program was set up as a tailor made live TV show!